Please Help us Rock by submitting a donation via this paypal link. Every dollar helps further our mission, so donations of all sizes are appreciated. I’m Jona Williams and this is my third year with WeROCK at AVMS and my second year as a coach. I am grateful to have the opportunity to cheer your children on while they reach their goal to cross the finish line at the OC Marathon. It’s always fun to hear a coach’s race history! I started participating in Disney Half Marathons in 2011. 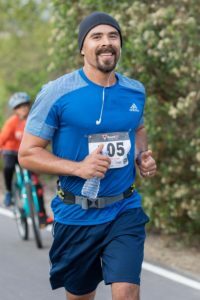 To date I’ve completed several 5K’s, 10K’s, Half’s AND my first Full OC Marathon in 2018. Prior to marathons, I enjoyed participating and leading boot camp classes and coaching youth cheer teams in preparation for professional competition. My personal goal is to complete my second OC Marathon alongside the WeROCK team in 2019. Everyone has a favorite race WeROCK runs and I enjoy the 20 mile qualifier. It is exciting to see your kids true grit as they conquer and cross the finish line of one of the pinnacle runs of the season. During the summer of 2016 I relocated my family from San Diego to Laguna Niguel for work. As my wife was registering my son Benicio Alvarado into his freshman year of Middle School at AVMS he was lured into the We Rock registration table and decided to give the 2 week trial a try. It’s always fun to hear a coach’s race history! After the 2 week trial we gave the season a go and soon after my wife and I were running alongside Benicio at mostly ever Saturday practice. Those practice runs led us to run many of the WeRock races races, Surf City 5K, Dino Dash 5K, the Santa 10K, Surf City Half Marathon, WeRock 20 Mile Qualifier, and finally the OC Marathon. The entire experience was initiated with the intent to show support to our son and along the way may wife and I got absorbed into the awesomeness of it all. 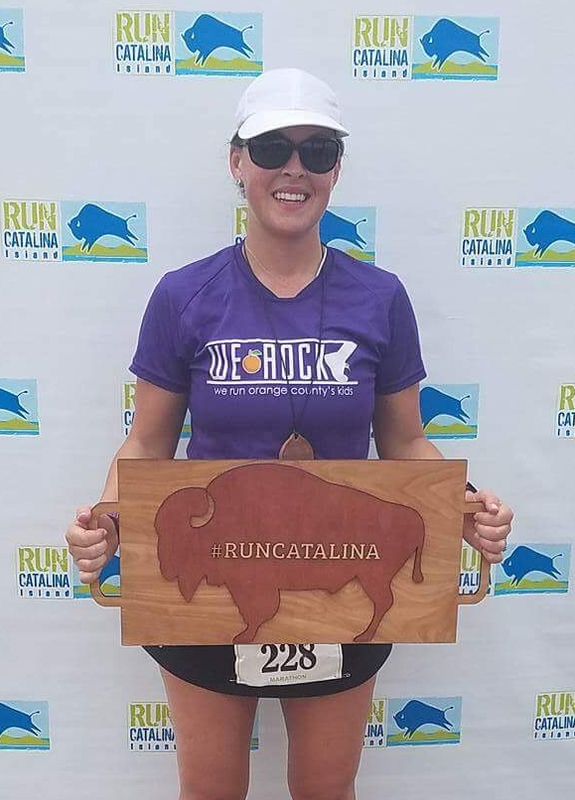 Favorite We Rock Race: I haven’t met a race I didn’t LOVE, yet! Every race presents its own unique and awesome experience. I started running in 2007 and some things happened: I dropped 20 pounds, the pain in my knees and feet disappeared, I could deal much easier with hot weather, and my cholesterol profile greatly improved. It was one of the best things I’ve picked up and I think everybody who is able to should be running too! My oldest son, Ethan, was a 3-year WeROCKer and now is a sophomore in high school. Thanks to WeROCK, he’s been able to make the Cross Country and Track teams. My daughter Hailey is in her third year now. Training to run marathons is not easy and one of my favorite things to see in WeROCK is how the kids are taught to encourage each other. They encourage each other while running, cheer teammates on as they finish races, and sometimes the faster runners will even go back and help other teammates finish their runs. Kids from different grades and different schools all help each other. 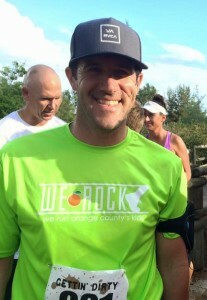 I believe WeROCKers will be able to run for the rest of their lives to be fit, learn important social skills, and be part of the healthy running community. My youngest son will start WeROCK next year! Each year, my wife, her sister, and my brother-in-law have our tradition to run the half-marathons at Long Beach, Surf City, OC and Laguna Hills. By the end of 2018, I have ran 34 half-marathons, but no full marathons… yet! In a few years, a few friends and I will reach a half-century in age and plan to travel to Europe and run a full marathon. They’re all good! The first race of the season is always exciting. Same with the first half marathon. If I had to pick a race, my favorite is the OC half/full. It’s the culmination of all the kids’ hard work and about a hundred kids finish a full marathon. Starting with the early morning wake-up, meeting when it’s still pitch black. The kids do the usual morning warm-up run and stretches, like they’ve done all season long, but it’s different. When they’re are all warmed up they walk to the starting line of a full 26.2-mile marathon. I run the half and meet them at the finish line. There’s nothing as amazing as seeing them all come in! My name is Jaime Barbieri but you can call me Coach Jaime. I am so excited to be a part of the WeRock team this year. My goal this year is to work with the kids to help them achieve their personal running goals. There is nothing more rewarding than watching these kids cross that final finish line. My niece was a part of WeRock back in 2011 and that is how we learned about the program. My daughter Shaelynn was in WeRock last year and she is returning for her second year. I have been running various races over the past 5yrs with my husband and kids. We have run everything from 5k to Marathons. I also enjoy doing Ragnar races and the Gladiator Runs with my husband. My favorite race that WeROCK will run during the season? I can’t wait to run the OC Marathon again this season! Hi! I’m Coach K and I LOVE to run! Believe it or not, I like to do other things as well. I used to be a mobile KJ (Karaoke DJ) and I enjoy singing. I also have a passion for rollerskating. My goal for the team this season is for each person to challenge their fears and their doubts. I would like to see every runner meet or exceed their goal of distance, time or endurance. My coaching began with SRLA – Students Run Los Angeles back when my son was in 6th Grade at Newhart Middle School. There I coached with the program for 3 years before co-founding WeROCK. I learned very early the positive impact that training for a marathon has on the kids that run with us. For that reason, I will continue to work with our amazing coaches and the surrounding community to assist in growing the program for as long as I can. I have run over 100 marathon/ultra races. Some of my race accomplishments include the Boston Marathon, LA Marathon, Chicago Marathon, the Grand Slam of Ultra (running the 4 oldest trail 100’s within an 11 week period of time), Badwater 135 3x, HURT 100 and the Mt. 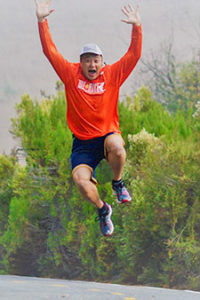 Gaoligong Ultra in China. Although my favorite place to run is on trail, the fact is, anytime I have the opportunity to lace up my shoes and run outside, I feel lucky. Everyone has a favorite race that WeROCK will run and mine is the OC Marathon. As the official WeROCK sweeper, I spend my entire race at the back of the pack. It is exciting to receive phone calls and text messages about the progress of the runners. It also allows me a lot of time to reflect on the season and the people that have forever been changed during the year. Since OC was my 1st and my 100th marathon, it will always hold a very special place in my heart. Hi! I am Coach Brittany! 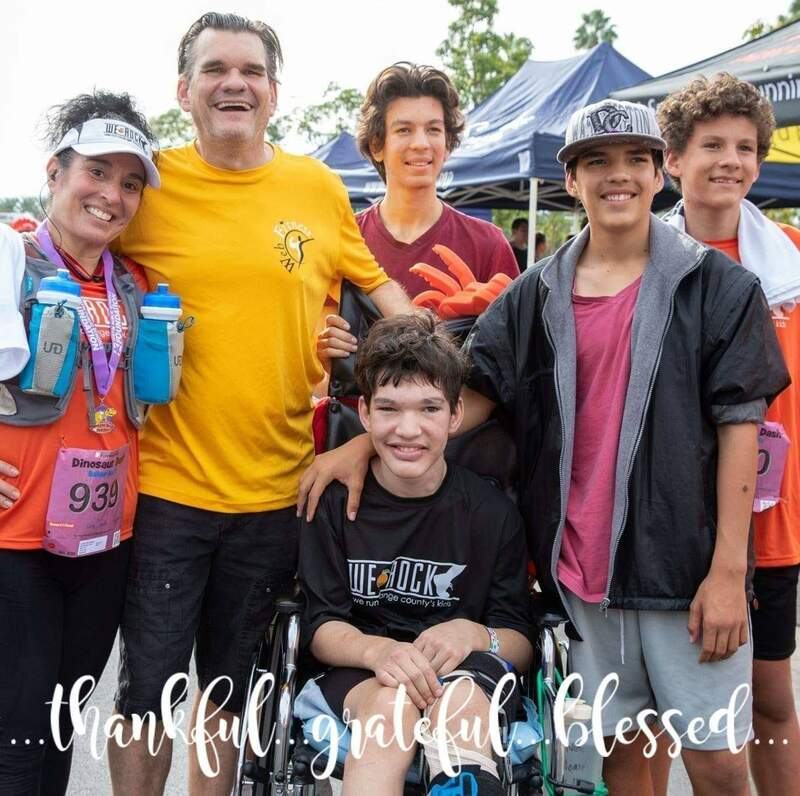 I am always very honored to guide the incredible young runners of WeROCK to hit their PR, run their first marathon, achieve goals they never thought they could and help them grow overall. Running will change your life in the most amazing ways and I’m so excited to take this journey with these amazing runners. What is my history with WeROCK? I learned of WeROCK in 2014 while running some of the So Cal races after my husband and I moved back from NYC. I was impressed with the Mission and Goals of WeROCK and reached out to see how I could get involved. I have had the pleasure of coaching since then! I fell in love with running while living in New York. To date, I have completed 50+ half marathons, 8 marathons, countless 10k’s 5k’s, trail races, mud races, Spartans, and 10-milers across the country and globally! Needless to say, I love to run and I love inspiring others to as well. What do you aspire to do? If you set your mind to something, you can do it, all you have to do is believe in yourself. What’s my favorite WeROCK race during the season? The first half of the OC marathon is hands down my favorite course of the program races. What an awesome scenic route for a first marathon or a PR. See you out there! Coach Rendy started running in the 3rd grade and quickly realized her talent. She competed and ranked nationally in the Junior Olympics for both track and cross country. At a young age her best distance was the 3,000meter placing 3rdat Nationals in 11 minutes. Her legs carried her to college on a scholarship at Henderson State University in Arkansas and helped her find her career path and passion. 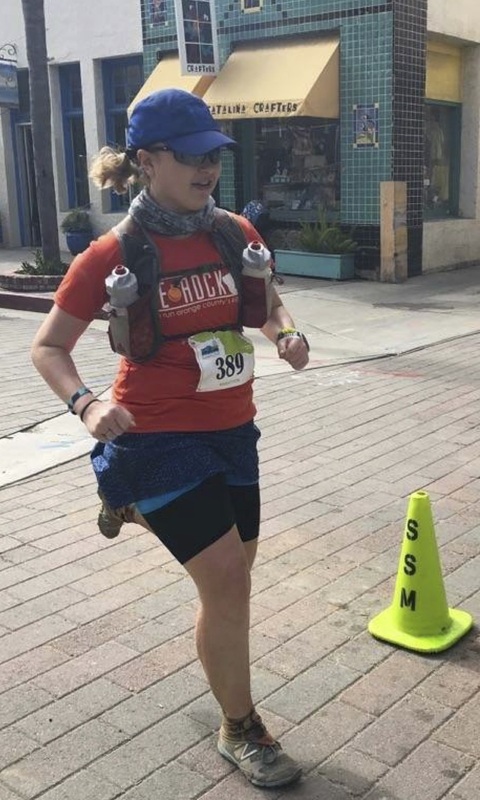 Recently she qualified and competed in her first Boston Marathon but her favorite marathon so far was Big Sur in 2017. She hopes to break under a 3hr 10min Marathon soon. Rendy spends a lot of her time traveling for races and enjoys adding a team aspect to running. 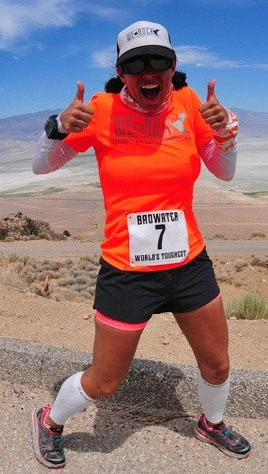 She has captained and ran with 11 Ragnar Relay teams in events all over the U.S. The teams run both road and trail races including a few Ultra distances. Hi! My name is Bernadette Schaaf. I’m so excited to be part of WeROCK! I always look forward to each practice and every race! It has been awe-inspiring to see the kid’s confidence grow as their miles increase. Every student runner has their own uniqueness and it’s been incredible to see them evolve throughout the season. Watching them become physically fit, build endurance, bond strong friendships, encourage and push each other as a team is breathtaking to experience as a coach and as a parent. These kids are amazing! We became part of the WeRock family in 2014 with our eldest son, Slater Schaaf. I ran Saturday practices with him. He had so much fun, that we added Steele and Vaughn Schaaf the next season. My husband and I were running aides for our son, Steele, all three years of WeROCK, as he has Epilepsy, Autism and many other disorders. Vaughn was Team Captain for WeROCK in his 8th-grade year. My youngest, Vance Schaaf, is in his third year with WeROCK. He watched his older brothers race and helped me as a pace runner for Steele’s first year, which helped him develop the same love for running as his 3 siblings. This sport quickly became, a ‘Family Sport’! It’s always fun to hear a coaches race history! I used to be athletic in high school and college. With family life, and journeys always presenting learning experiences with both obstacles and opportunities, WeROCK was the one that got me back into health and fitness as Steele’s running aide. So thankful!!!! Slater and I did my first half marathon together and now, I’m addicted!!! My new goal is to complete a full marathon with the WeROCK kids this season. I’m truly looking forward to this new accomplishment with them! Definitely, it’s the Santa Run! Hands down!!! When I saw Steele’s teammates join us in his last mile, it made my heart sing. When I saw him push himself more with determination, it made me proud. When I saw his face light up and run into Santa’s arms with his teammates by his side encouraging him at the end of the race, it made me cry, because it was the perfect memorable moment I will always cherish, forever!!!! Hi I’m Coach Jay. I was bestowed the honor of being the founding coach for the Ladera Ranch branch of WeROCK. I am a first year coach in 2018-19 and I couldn’t be more proud to see these kids crush goals that made me do a double-take with when I first heard about the program. I’ve run since middle school and can think of a hundred different ways that running and the people I’ve met because of it have enriched my life. Being able to pass that forward is gold and I’m grateful this program allows the chance. If I had to choose one expression that typifies why I think this program and experience is important, it would be this quote I originally found about a sister sport to running – cross country skiing: “Endurance sports reveals something deep about the human condition: the absolute, nonnegotiable necessity of the grind. The purity and sanctity of the … slog.” Put another way, in a world where everything is invented to make our lives easier, we need the privilege of adversity to make us human again. Enter WeROCK. I was the kid who was mediocre at all the sports I tried until, one day, at football practice, I discovered I was the only kid that liked running laps and doing wind sprints at the end of practice. The rest is history. That parlayed into years and decades of running and triathlons including Ironman Lake Placid, Couer D’Elene, California and others. My goal is to help even just one kid have that a-ha moment at the end of practice. I really liked the Citrus Heritage half marathon course because it was a cross country-esque course, running through the orange orchards. It was also the first time seeing the kids run a half and they tore it up! 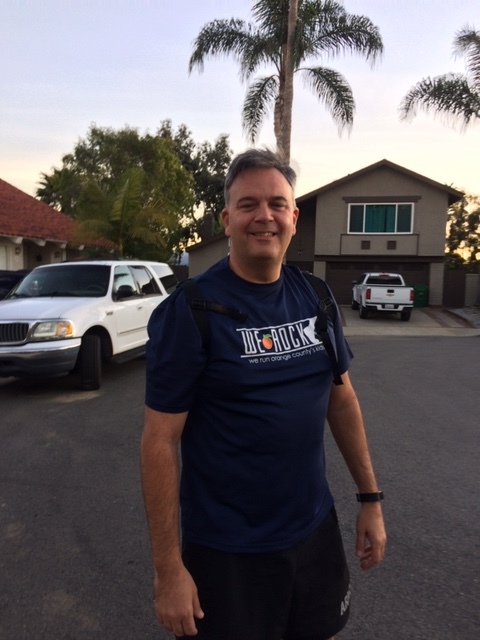 I am George Duarte, the principal at Ladera Ranch Middle School and I am also an assistant coach with WeROCK! I have been at the middle school since 2013 but 2018-19 was our first year with WeROCK. I love being a part of this program because as a principal I get to see our students meeting new challenges. I heard another coach say we are not training for runs, we are training for mental toughness. I agree with that. I used to run a lot in high school on the cross country and track team, and then I continued running in the Army. However, I got away from it and WeROCK has really helped me rediscover the joy of hitting the trails and streets. I grew up in Eagle Rock then Redondo Beach in California. I am a proud UCLA Bruin, too! I have traveled to most of the States and quite a few countries. I always try to go for a run whenever I travel. Another assistant coach at Ladera Ranch, Mrs. Antonatos brought the idea to me and we set up a meeting with Coach K and our school counselor, Mr. Bogiatzis. We loved Coach K’s enthusiasm and organization and decided to bring the program to our school. Prior to We ROCK, I had run very few formal races but a few of my most memorable runs have been along the Appalachian Trail, the Grand Canyon, sunrise runs in Alabama and North Carolina, and along a nearly frozen Potomac River (until it started to sleet). I was also part of a special run involving over 600 Special Agents with Army CID, Air Force OSI, and Navy NCIS in Washington DC. Everyone has a favorite WeROCK race and mine is the Citrus Heritage half marathon. The course was beautiful and crisscrossed many orange groves. What I enjoyed most about that race, aside from the scenery, was the sense of accomplishment in completing the half marathon. Hello! My name is Tom Bogiatzis and I am an Assistant Coach with Team Ladera at Ladera Ranch Middle School. The Lions at Ladera call me “Mr. B” and some can even pronounce my last name, Mr. Bog – At – Sis. 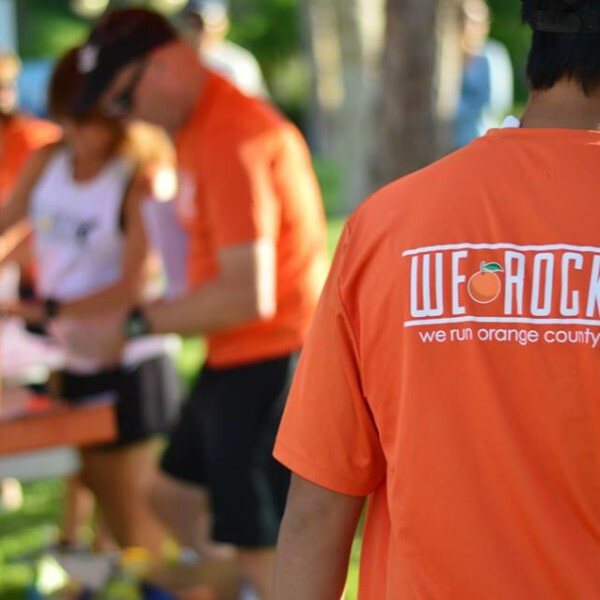 I also happen to be a school counselor and I am able to witness the dedication of our We Rockers, with their academics, personal commitments while training to run their first marathons. Simply Amazing! I always tell students we all learn to overcome obstacles in life and “anything worth doing, takes consistent effort over an extended period of time,” which exactly describes training for a marathon. We learn so much about life while training to run a marathon. I grew up in Brooklyn, New York and lived in Connecticut before moving to California in February of 2007. I grew up playing baseball and football, most of my life, and I was always curious as to why people train to run long distances. I enjoyed sprinting for team sports growing up, but never considered running long distances because it took too much time and effort. I then met Rose Antonatos, Assistant Coach, when I moved to California and she organized SRLA – Students Run Los Angeles to train for the LA Marathon in 2008. I thought I would run a few miles until I needed to buy a new pair of sneakers and then go back to wearing cleats playing baseball. Before I knew it, I was running 10 miles on Saturdays and I thought seriously about running 26.2 miles. 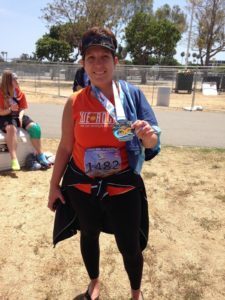 I finished the Los Angeles Marathon and so did all of our students! This is my first year as a coach with WeROCK and I have learned so much from Coach K and all of the other coaches with WeRock. I am motivated by all the student leaders and all of our runners as the group gets closer to finishing the OC Marathon in May. It is always fun to hear a coaches race history! 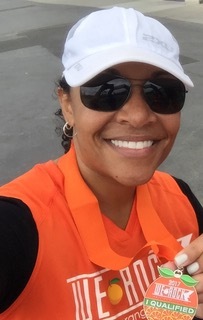 I finished the Los Angeles Marathon in 2008 and have completed five half marathons since 2008. 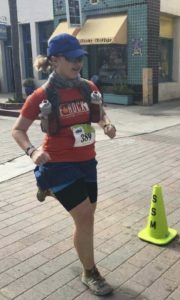 Everyone has a favorite race WeROCK runs and mine is the Surf City Half Marathon. We ran on generally a flat course, near the ocean, in the wind driven rain, on Super Bowl Sunday, waiting for the Patriots to win another Super Bowl. Good day, I’m Coach Brian and I am proud to be here for this years team at DJAMS. I am most looking forward to seeing these amazing kids learn to lean on and rely on their team. 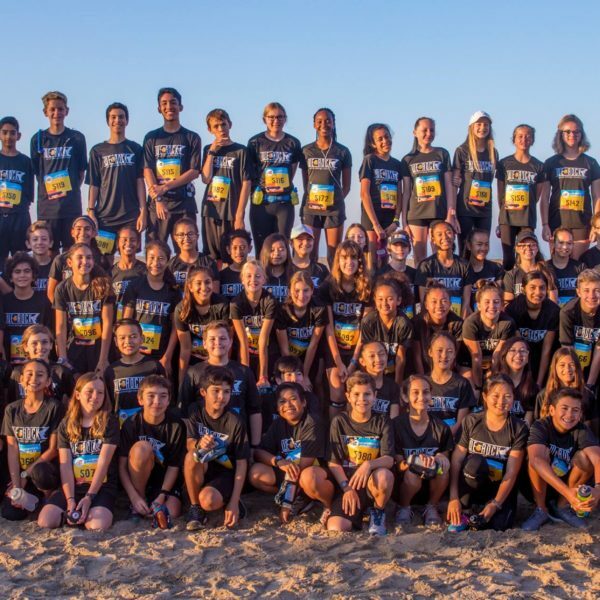 It seems like this program erases the prejudice of age and grade level from their brains and instills nothing but admiration and determination to make sure all of their teammates get to their common goal of running the OC Marathon (full or half).What is my history with WeROCK? Last year I was a WeROCK waiver running parent, present on Saturday runs and a couple of the races. 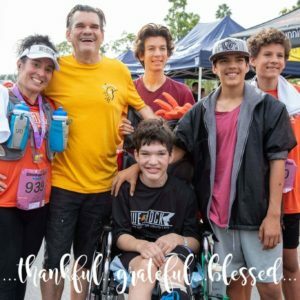 I got to run the OC Marathon with these amazing kids and my 12 year old daughter. A few years before I got to see my little niece dressed in her orange and black cross the finish line for a race I thought was insanely far for any child to run (2011 OCM). But it was seeing her and her awesome group of WeROCKers that inspired me to get some running shoes and start hitting the pavement myself. 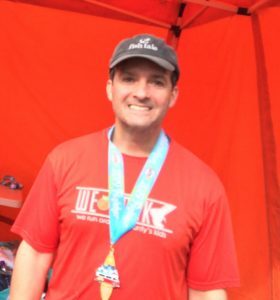 Since then I have done a Disney 5k, many local 5 and 10k races, the Surf City Half twice, the OC Full Marathon, and the Illustrious 2015 WEROCK 20 Mile Qualifying Run. I’m Coach Lexi, and I’m so excited for another fantastic season! The kids of WeRock are a tough bunch who take on every challenge with enthusiasm, fearlessness, and a healthy dose of silly middle-school humor. I know that this season, as always, they will rise to the challenge of completing 26.2 miles and have tons of fun along the way. While I wish I would have started running as young as the amazing WeRockers, I didn’t start until my freshman year of college. Running was an escape from the stress of school, and I became so addicted that one year later, I completed my first 50-mile race. A couple of years later, I met Coach K, our head coach and co-founder, while working at a local running store. She convinced me to become a coach as soon as I finished my schooling in Texas. I’ve been running with WeRock since January of 2017. Since starting to run in 2013, I’ve completed numerous races ranging in distance from 5k to 62 miles. 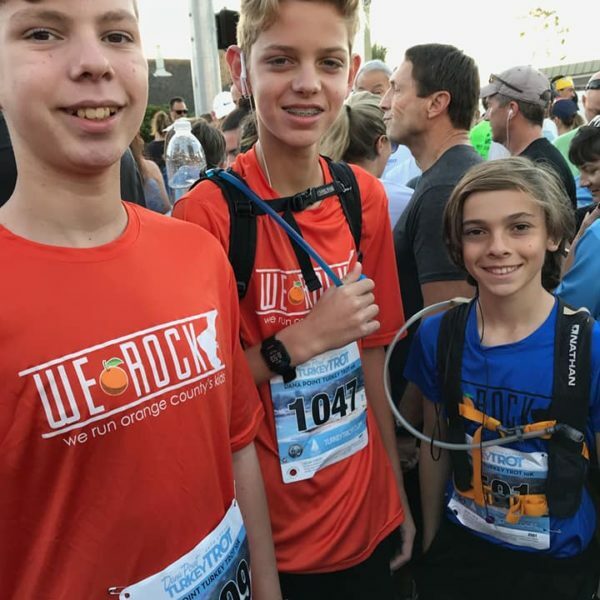 I would have to say that my favorite race experiences have been running the OC Marathon with WeRock; It’s inspiring to see kids so young push through the wall and find out how much they can accomplish. Another notable race experience would be running the Star Wars Half Marathon dressed as Princess Leia. 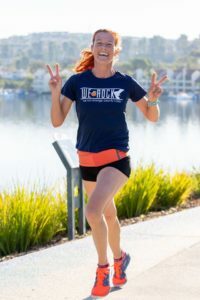 My Favorite Race that WeRock Will Run During the Season is the OC Marathon, of course! Hi to all the wonderful parent volunteers, coaches and our inspiring student runners! As the aid station coordinator, my goal is to encourage all parents to get involved with our Saturday practice runs and cheer on our runners as they achieve a new milestone every Saturday for the next 7 months. WeROCK is grateful to all of those who volunteer their time, energy and encouraging words. 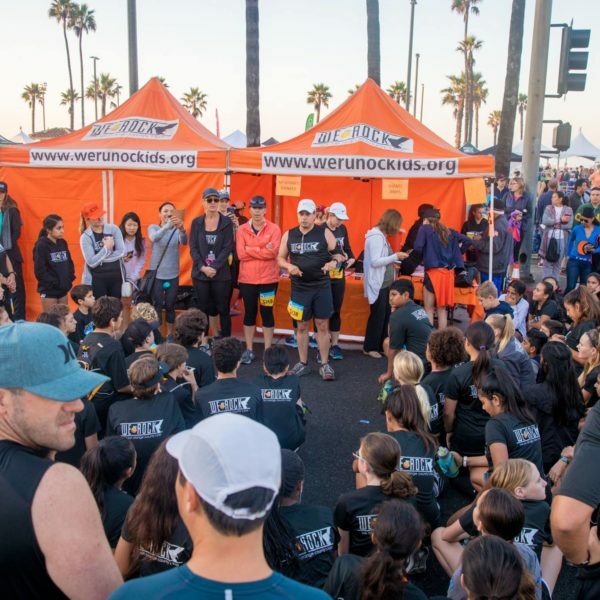 We couldn’t do this without you.My history with WeROCKSeveral years ago, I encouraged my son to join this running program called Students Run LA (SRLA) where I met Coach K as an energetic and passionate parent volunteer with a dream! My son was not thrilled to run a marathon but wanted to be part of something great so he teamed up with Coach K and provided Saturday bike support to all the student runners including his mom! It was my first marathon. 5 years later, my daughter joined the WeRock team. 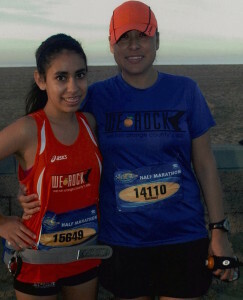 I volunteered and finished 3 marathons with my daughter. She will forever been known as a Legacy Runner at her middle school. What an accomplishment! Fast forward 3 more years, my daughter moved onto Cross Country in High School but I continued to volunteer as the aid station coordinator and the (unofficial) Saturday sweeper. This is a wonderful program and I am grateful to be part of this amazing WeROCK family.It’s always fun to hear a coach’s race history! My favorite race is the Surf City 1/2 marathon. We are half way through the training program and the crowd is energetic with the Super Bowl Fever! Hi all, I look forward to meeting everyone this season as we take this journey together. My goal as a coach is to bring the love of teamwork, hard work and accomplishment into the hearts of these kids. I am inspired watching them fight for goals many feel is out of their reach. As an individual, I look forward to crossing the finish line in May too. What is my history with WeROCK you may ask? I began coaching kids 12 years ago when my son ran the Students Run Los Angeles (SRLA) program. I have been a WeROCK Coach on and off since the beginning of the program, my youngest son was part of WeROCK’s first year. I have ran numerous 5Ks, 10Ks, and half marathons and 3 full marathon. 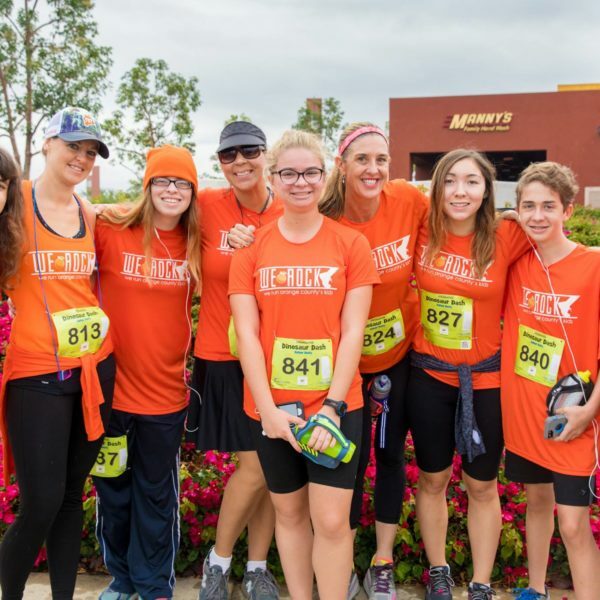 Everyone has a favorite race that WeROCK will run and my favorite race is the Tustin Hanger 5K, it’s really fun running through those huge hangers! 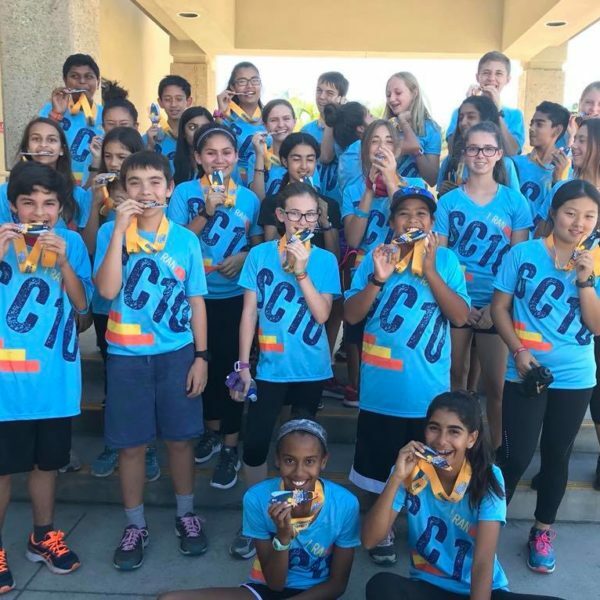 ©2019 Student Runners of Orange County Inc., D.B.A We Run Orange County's Kids, all rights reserved.